The Berlin wall(s) II – From “Potsdamer Platz“ to Checkpoint Charlie - Berlin erleben ! Let’s continue our route along the „Berlin Wall“ to a further important symbol of the separation of Germany – the Checkpoint Charlie. The “Third Reich” and the GDR era are permanently present. We touch the “German Federal Ministry for the Environment, Nature Conservation and Nuclear Safety” („Bundesumwelt-ministerium“) prior to reaching the former “Prussian Parliament (”Preußischer Landtag”) nowadays the “Berlin Chamber of Deputies“ (“Berliner Abgeordnetenhaus”) – as well as the Martin-Gropius-Building, which is a famous Berlin exhibition building. The “Topography of Terror” will take your breath away. We pass the “German Federal Finance Ministry”(“Bundesfinanzministerium”), the former "Reich Air Ministry” (“Reichsluftfahrtministerium”). 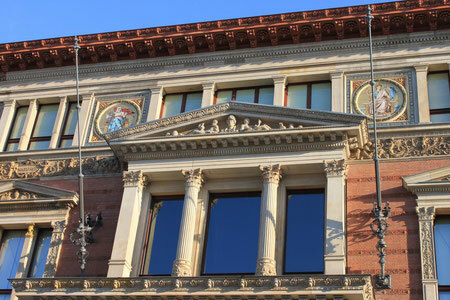 We cross the historical mile “Wilhelmstraße”, the former governmental centre and political power centre par excellence. Now you will learn about former market halls and will get to know the location, where the „Völkische Anzeiger“ (Nazi newspaper) was produced. 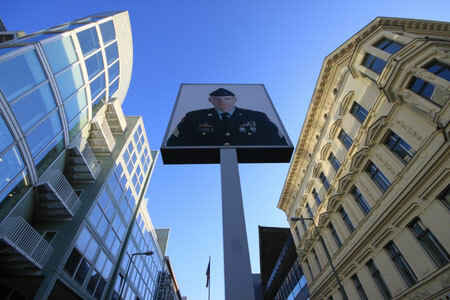 Eventually we reach our final destination - Checkpoint Charlie. And what about Alpha and Bravo?